Health Minister Sarah Hoffman must finally order an end to a Covenant Health policy that has traumatized some terminally ill patients seeking an assisted death, critics say. Critics are demanding that Health Minister Sarah Hoffman finally order an end to a Covenant Health policy that has traumatized some terminally ill patients seeking an assisted death. As CBC News reported Tuesday, Hoffman has known since 2016 that some Covenant patients seeking an assisted death have suffered under a policy experts say is inhumane and infringes on patients' rights. 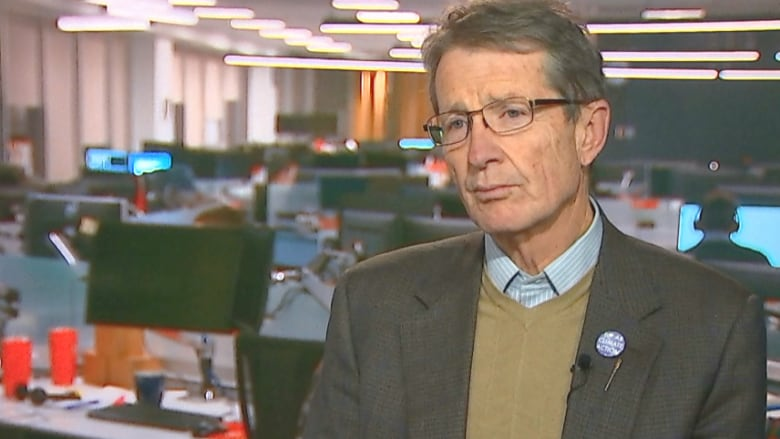 "It is time to address this as a human-rights, as an ethical, and now a legal, issue that has bearing on the well-being of patients," said Liberal MLA Dr. David Swann, a former medical officer of health. "And there should be no exceptions made, whether you're a Catholic institution or any other religious institution in a publicly funded health system." The Catholic health provider's default position is that patients cannot even sign the form requesting an assisted death, or receive assessments by Alberta Health Services (AHS) staff, on its property. The Alberta government, under Hoffman, exempted Covenant from having to provide access to those services. Covenant Health's enforcement of its policy has led to increased suffering for patients simply trying to exercise their legal right to an assisted death. In 2016, Bob Hergott, a 72-year-old ALS patient who was effectively paralyzed, had to sign his form requesting an assisted death in a bus shelter across the street from his Covenant Health hospital. Another ALS patient, 66-year-old Doreen Nowicki, was forced to have her assisted-dying assessment on an Edmonton sidewalk in May 2017 after Covenant suddenly withdrew permission for her to have it by her palliative bed. In July 2016, an AHS doctor complained in an email to Hoffman about how one rural patient nearly bled out and died after Covenant Health initially prevented him from accessing assisted-dying services. The doctor asked Hoffman why Covenant Health, a publicly funded health provider, was allowed to discriminate against patients seeking assisted-dying services. "Is this the type of care that Canadians and Albertans expect and deserve? Where is the dignity for this patient?" the doctor asked her. In her response, Hoffman gave no indication she was prepared to act on the issue. In an emailed statement, the minister told CBC News the doctor subsequently discussed concerns with AHS' lead on the MAID program and that AHS then updated its MAID Guide "to support better discussions with Covenant Health." Bradley Peter, an Edmonton director of Dying with Dignity Canada, said Hoffman's response was inadequate. "Now that we find out that actually, for two years, this policy has been harming patients, their families, and even the care providers, there is really no excuse at this point as to why this hasn't been dealt with yet," Peter said. Dying with Dignity Canada called for Hoffman and her government to "immediately rectify" the situation and end Covenant's policy of forced transfers, including for the assisted-dying procedure itself. "Not a single (other) Albertan should be forced to leave a publicly funded health-care facility to access their human right of medical aid in dying," Peter said. In response to a CBC News' investigation, Covenant Health said it is reviewing its policy to "clarify" its language around the "exceptional" cases where patients are allowed to sign MAID forms and have assessments in its facilities. Hoffman told CBC News she is monitoring that review and will create her own policy if she is not satisfied with Covenant's new one. That response is not good enough, said Swann, who intends to raise the issue in a private meeting with Hoffman. "It's time for the health minister to step up," Swann said. "This is the 21st century. We have a new law in Canada. And all hospitals that are publicly funded should be following the same standard of care and access to services." Peter said he was relieved to learn health-care providers, like the doctor who complained to Hoffman in 2016, had voiced concerns about Covenant Health's policy. But he is disappointed by the health minister's inaction so far. "For two years, I have kind of been wondering, 'Where are the health-care providers in these institutions? Why aren't they speaking out? Why aren't they making a scene and pushing back against this policy?'" Peter said. "And now I realize, well, in fact they have actually been speaking directly to the health minister, and still nothing has been happening," he continued. "So that is actually really troubling to me." If you have information about this issue, please contact us in confidence at cbcinvestigates@cbc.ca.